Prince Jean has given an exclusive interview to Luxembourg's biggest newspaper, the Luxemburger Wort, about his alleged involvement in the Affair Bommeleeër and how the accusations of having planted bombs in the Grand Duchy affected him. The interview was published in today's printed edition and the online version only has a teaser. It seems that the interview goes a bit deeper than when Prince Jean gave a press conference in May. For example, he acknowledges that his wedding to Hélène Vestur caused conflict with his parents but no lasting rift. [Note by moi: At the time of her wedding Mme Vestur told the press that she hadn't met her parents-in-law yet. However today, years after their divorce, she is still invited to all kinds of family events.] 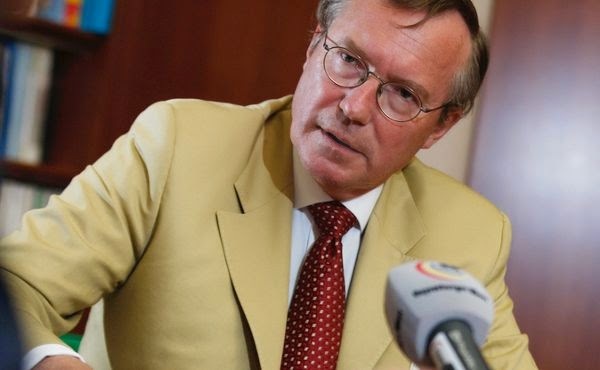 The younger brother of Grand Duke Henri also expresses the wish that those who falsely accused him of an involvement in the Bommeleeër case would acknowledge that they were wrong.